There are no vacancies at present. If you think you may be interested in moving to Shaftoe Terrace then contact Sheffield Exham, the Clerk for an initial discussion, see Contact Us for details. - Aged over 60 and resident in the parish of Haydon and retired from full-time work. In the case of a couple one person should be 60 or over and retired. 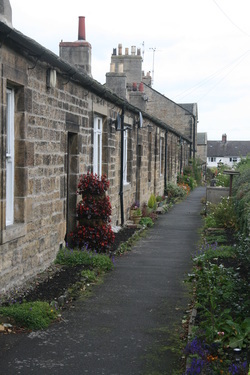 - Under the age of 60 and a resident of Haydon Bridge and be able to demonstrate a need for this accommodation. - Aged over 60 and resident in Northumberland and retired from full time work.